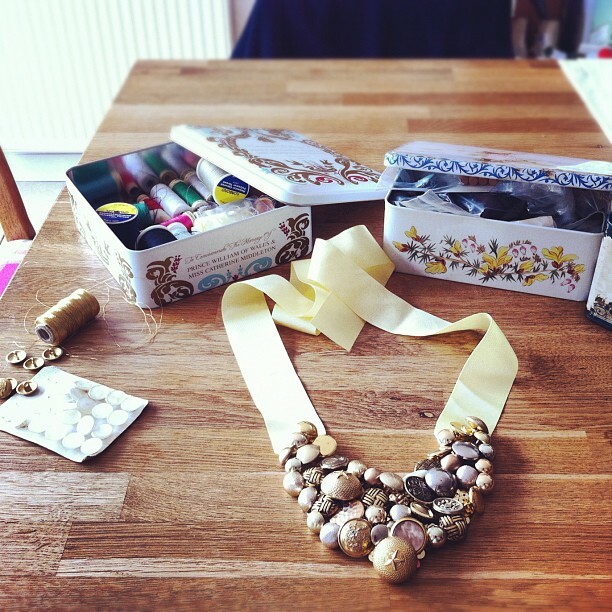 Last in the series of the DIY necklace posts is instructions on how to make your own bib necklace. This has been a bit of an ongoing project for me, having started it a while ago and then only just getting round to finishing it. So I haven't got any photos of the in-between stages. But I'll explain it to you bit by bit. 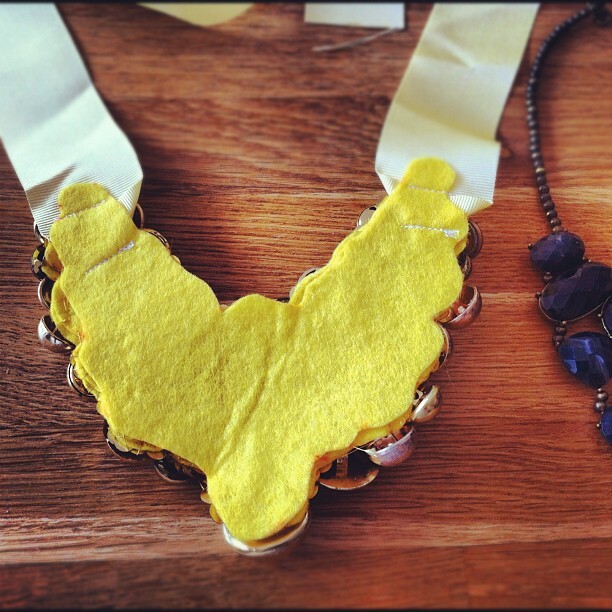 I found a bib necklace which I already had to draw around, to form the bib shape of the necklace. 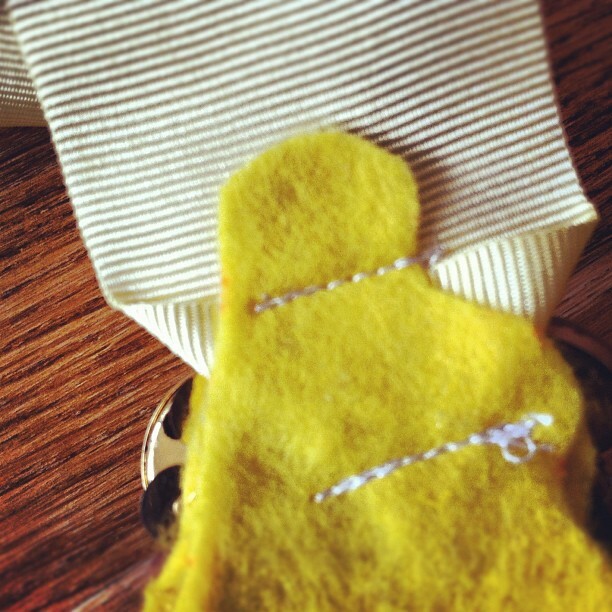 I traced around the outline of the necklace with a felt-tip pen, onto two layers of felt. Cut around the outline so you're left with two identical bib shapes. Set aside one of the shapes until later. 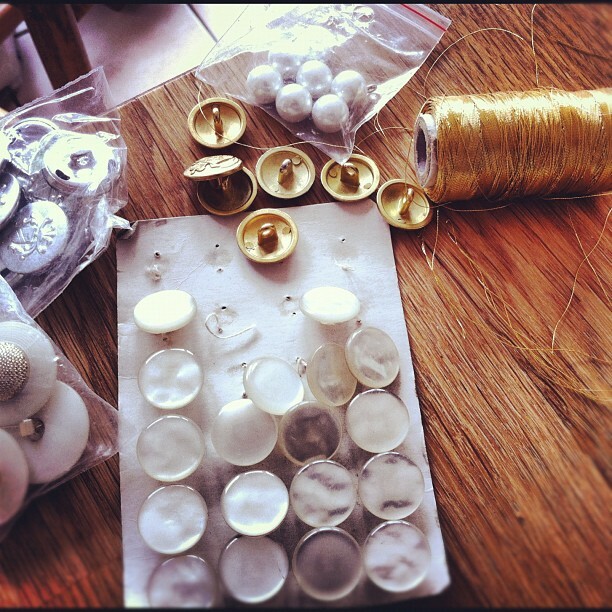 Start sewing your buttons onto the template. This may take a while... Don't worry about the back of the felt looking messy with your criss-cross of threads - this will be covered up at the end. When you're happy that you've got enough buttons on your template, if you've decided to use sequins to fill in the gaps, start to sew these onto the felt too. When you've finished attaching all of your sequins, find the other felt template which you set aside, and attach your ribbons to each corner. 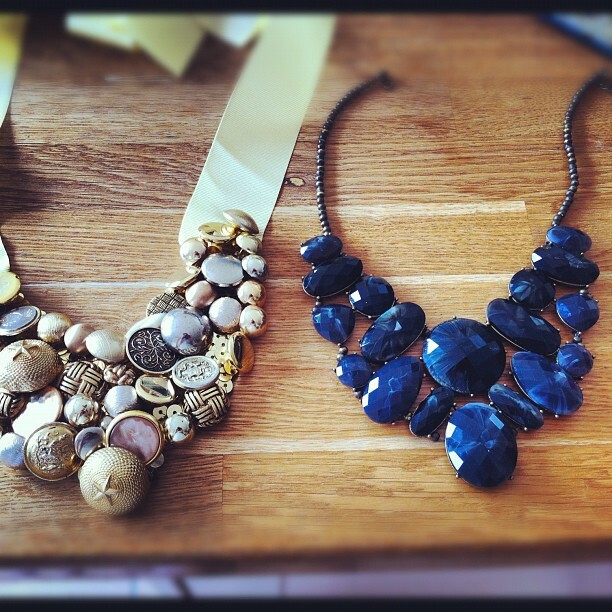 If your bib necklace shape is asymmetrical, make sure you're sewing your ribbons to the correct side so that your templates line up - you want the ends of the ribbons to be hidden underneath the felt. Then using your craft glue, stick the two pieces of felt together, so that the second piece of felt hides all of the threads, and the ribbons ends too. 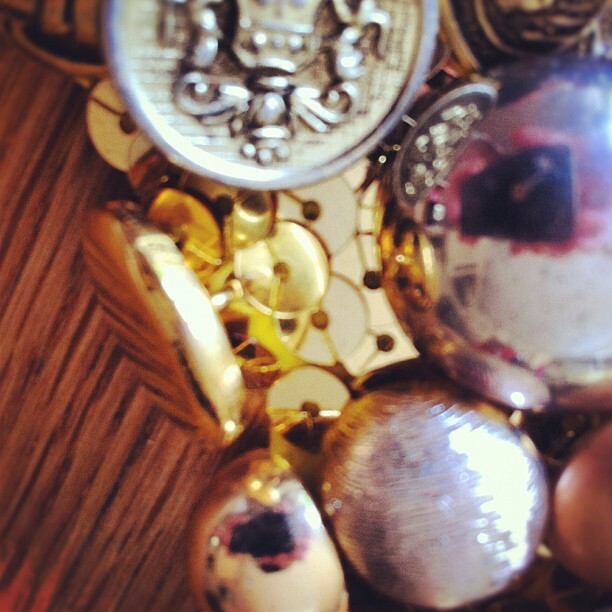 The back of the necklace should now look the same as in pic 3 above. Job done. Wear with pride.